The Redmi Note series is a shining example of smartphone success in India. Its manufacturer - Xiaomi - has generated so much profit on the back of the Redmi Note series that it was considering to share some of the profits with the fans. The Note Prime was another successful smartphone in this already successful lineup. The Redmi Note Prime was actually launched as a more upgraded version to the Redmi Note 4G. Both phones were launched at the exact same time but they have a few key differences. Although the external features on both the smartphones remained near about the same, it was in the hardware department that we saw the most changes. The Redmi Note Prime had an upgraded Snapdragon 410 processor which at that time was considered to be quite fast in the budget smartphone segment. The phone also had massive 3,100 mAh Li-Po battery, which the company said could give the user a battery life of upto 2 days even on continuous usage. However, there are now several new and better models of the Redmi Note available in the market, and you should consider selling your old Redmi Note Prime for a newer phone - such as the Note 5 perhaps? Cashify is the perfect solution if you’re on the fence. Trading the Redmi Note Prime for money is then the best option. 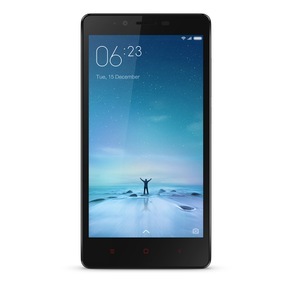 Why Sell Your Old Redmi Note Prime On Cashify? Cashify happens to be the ideal portal to sell old phones - including your Redmi Note Prime - for the best price. Cashify even has an exclusive exchange partnership with Xiaomi, and also with some of the most well known smartphone brands in India such as Apple, Samsung and OnePlus. Xiaomi products such as your second hand Redmi Note Prime may not be worth too much resale value after more than 2-3 years of usage, but selling on Cashify will not only fetch you the maximum money you can get, but also make you eligible for exciting offers from Amazon, Flipkart and others. Cashify will provide you the best price for your used Redmi Note Prime. Just head over to the Cashify’s website and select mobile phone category. Answer a few questions about the smartphone such as the condition of the smartphone, warranty period etc. Cashify officials will come directly to your home to inspect your old Redmi Note Prime and hand you cash right there.